Barry Domvile was born in 1878. 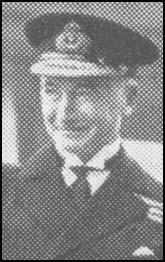 He joined the Royal Navy and eventually became Director of Naval Intelligence (1927-30) and President of the Royal Naval College (1932-34). Domvile developed extreme right-wing political views. He visited Nazi Germany several times and in 1936 he attended the Nuremberg Rally as a guest of of Joachim von Ribbentrop. He also met Heinrich Himmler while in Germany. In July 1937 Domvile founded The Link. In his autobiography Domvile explained that he established the organisation "to foster the mutual knowledge and understanding between the British and German peoples, and to counteract the flood of lies with which our people were being regaled in their daily papers." The organization attracted anti-Semitic people and pro-Nazi extremists. The membership of The Link grew from 1,800 in March 1938 to 4,300 in June 1939. Members included Lord Redesdale, Archibald Ramsay, Major-General John Fuller, Lambert Ward, Richard Findlay, H. T. Mills, Lord Sempill, C. E. Carroll, A. P. Laurie, Raymond Beazley and Hubert Maddocks. The Link also published the journal The Anglo-German Review. The Link closed down soon after the outbreak of the Second World War in September 1939. 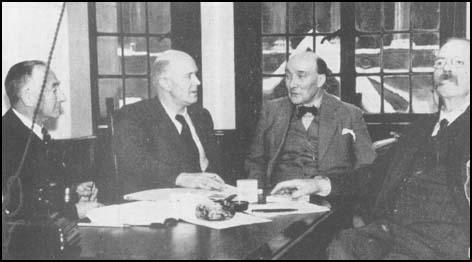 Several members of the organization, including Barry Domvile and Archibald Ramsay, were arrested after the passing of Defence Regulation 18B in May 1940. This legislation gave the Home Secretary the right to imprison without trial anybody he believed likely to "endanger the safety of the realm". Domvile was released from Brixton Prison on 29th July 1943. He published his autobiography, From Admiral to Cabin Boy four years later. Barry Domvile died in 1971. 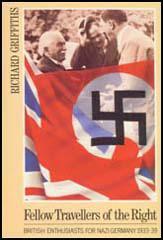 I and several friends who held similar views felt that an urgent need existed for the establishment of an Association to foster the mutual knowledge and understanding between the British and German peoples, and to counteract the flood of lies with which our people were being regaled in their daily papers. There was in existence already an Anglo-German Fellowship, of which I was a member of the Council. I was never very happy about this Association, which catered mainly for the well-to-do, and was largely supported by big business firms, interested in clearing the ground for an extension of commercial relations. Membership of the 'Link' was open to all. "You put me in a very awkward position", he said, "I don't want to say anything about it. We had decided to close down. But it seems that we might be of national use, by a slight alteration." "Wouldn't it have to be rather a considerable alteration? ", I said. "I don't want to disclose what it is now", he said. "It might spoil the effect. But if we could build a bridge to the German people..."
If... But as The Link's German contacts were highly official and Nazi, it seems unlikely. The Link is closed down and the organisation dissolved. Naturally, we closed down on the declaration of war. That was essential. The King's enemies became our enemies. We had done our best for better Anglo-German relations, and with the outbreak of hostilities there was no more to be done. All the branches are closed.